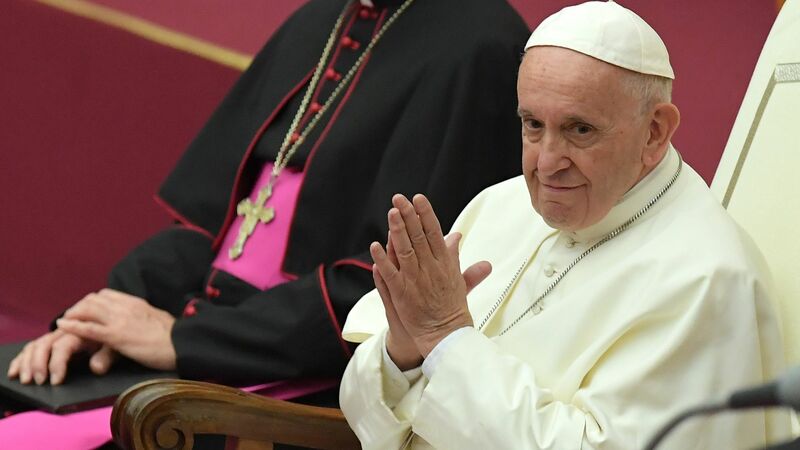 A book coming out next week called La Fuerza de la vocacion (The Strength of Vocation) quotes Pope Francis as saying homosexuality in the clergy "is something that worries" him, the Sydney Morning Herald reports. The big picture: The pope reportedly hit on the subject in an interview to Fernando Prado, a Spanish-born missionary priest. Francis is also quoted in the book breaking from the opinion that having gay people in Catholic housing is not a big deal because it's "only an expression of faith," saying "there is no place for this kind of affection" in priestly life. In the past, Francis has urged the church to remember that gay people are "persons who will live in the service of the church, of the Christian community, of the people of God."